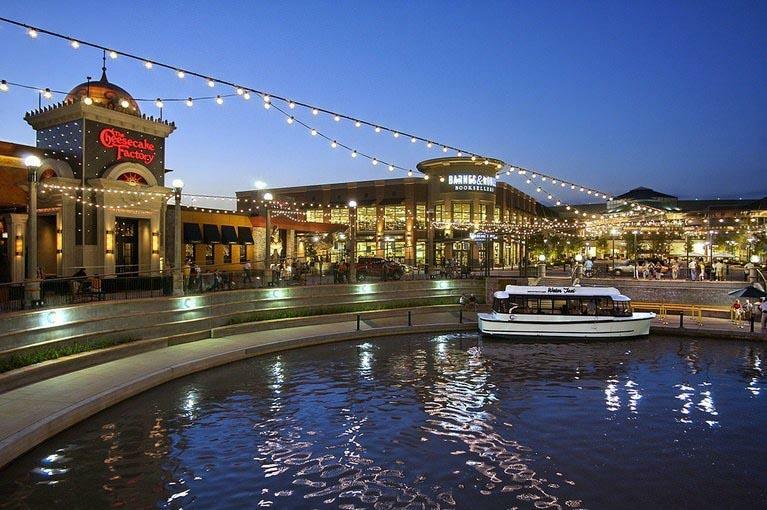 Located just 30 minutes north of downtown Houston, The Woodlands Mall is a wonderful shopping experience with so many stores to choose from under the one roof that you will be in a shopping heaven. The mall itself can only be described as being a premier experience that you are not going to forget, and in fact you will find yourself coming back time and time again to check out everything that it has to offer. The Woodlands mall has over 160 different stores to choose from with them covering every possibility and eventuality that you care to imagine. From numerous apparel stores, to health and fitness, stores selling items for the home, the list goes on and on meaning there really is something for everyone no matter what your tastes may be. Not only that, but there are always some amazing bargains and savings to be made from not only the big named stores, but also those smaller independent stores that form the backbone of the mall itself. Covering brand names that you will be familiar with to brand new items that you have never seen before, you just never know what to expect as you walk through the doors. Apart from all of those stores, there are also over 30 different places where you can grab a bite to eat and to just take a break from your shopping experience. With eateries ranging from grills to steaks to Chinese and so much more, there will be something there for you no matter your own culinary preferences. In addition, there are a number of coffee shops, so if you just fancy resting your feet for a short while and get a caffeine fix, then you will also be able to take your pick from the variety of locations that are available. The Woodlands mall is a truly wonderful shopping experience, and the hardest part is going to be in trying to stop yourself from just spending too much money during your visit. With such an array of stores available, as well as amazing restaurants, you will find yourself wanting to visit the mall when given any opportunity to do so just to check out what is new and exciting on the shelves.